We have an old shed that was recently remodeled. In its original state, it had an old star hanging on it. 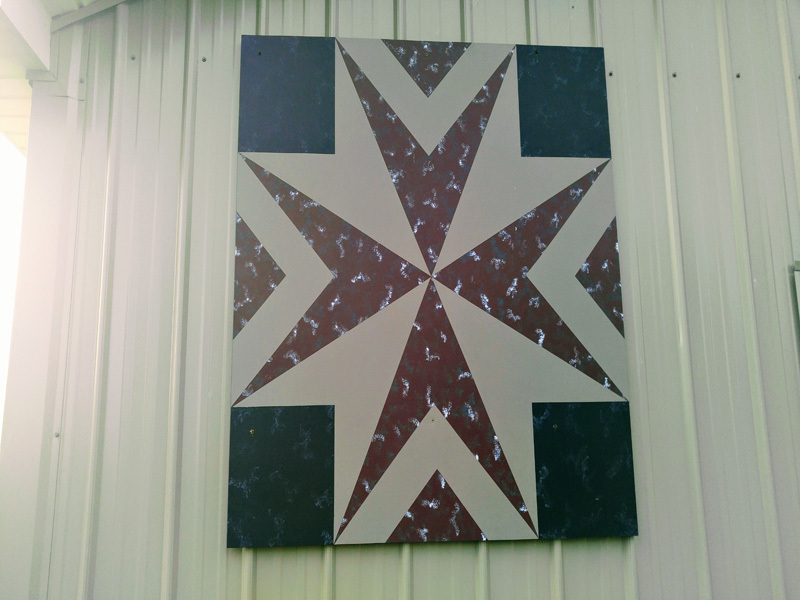 After seeing so many beautiful and uniquely different quilt patterns across the county, we decided that we needed to put a star back on that shed. The colors we chose for our barn quilt perfectly compliment our house and the siding of the shed.